after getting TW560 to the garage i usually have it serviced, thomas möckli the owner promised to have a look at it as soon as possible. 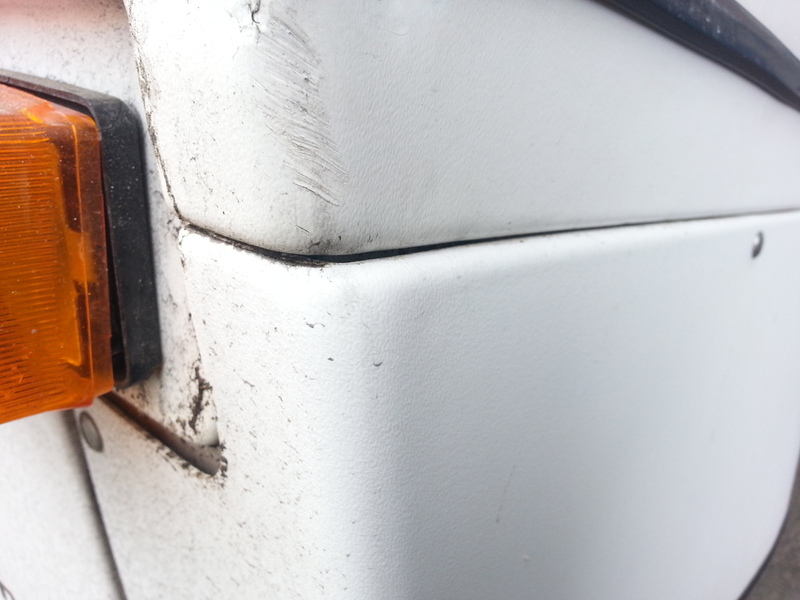 just a few hours later, he called me and let me know that – except the hood – everything is repairable at a modest cost. even the electronic fault turns out to be one single high power transistor acting up. and thomas does not want to repair it. 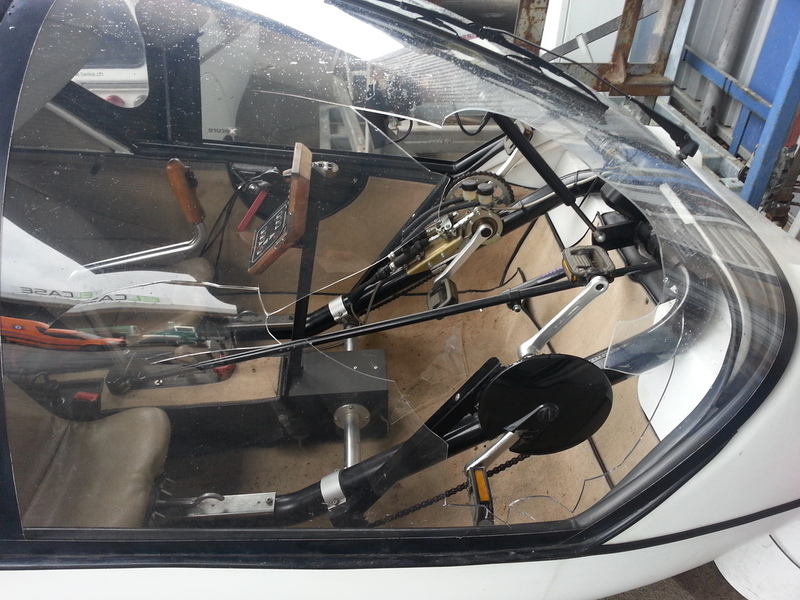 however, there are no plexi-hood windscreens available anymore (so he thought…) and he was offering me either an old, used complete hood frame with (scratched) plexi windscreen or to mount a modern two-part glass windscreen. 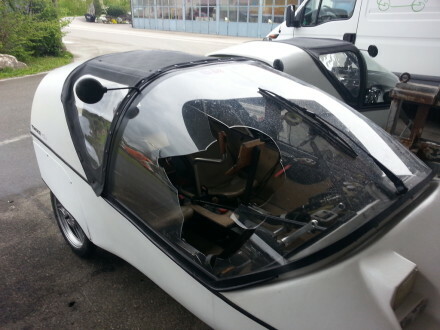 glass windscreens are mandatory everywhere outside switzerland and that is why for the last few years no plexi TWIKE models were sold anywhere. TW560 weighs 245kgs with a 25/75 weight distribution. the glass windscreen adds about 30kgs to the front of the vehicle. not surprisingly, this changes the vehicles characteristics quite dramatically! and, what’s more, as you might have learnt from my DRL project, i absolutely want to keep my TWIKE as original as possible. this means that there is no other option for me than to source the world’s last NEW plexi windscreen. 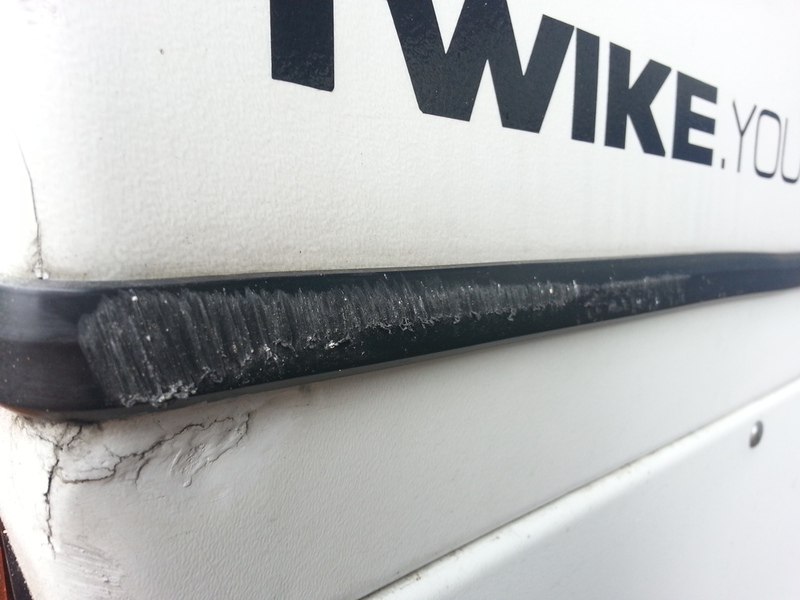 i have known of this plexi windscreen for about 4 years now. it’s been in storage for the last 10+ years and – fortunately for me – forgotten. thomas möckli informed me that he would not be available to mount this windscreen to my frame. he does not know how to do the job. Maya schnyder from the twikestation bern is the sister of ralph schnyder, the TWIKE’s creator. She was there when the first TWIKE’s were built. They all had plexi hoods and she also has the screen in storage. furthermore: she is willing to attempt to mount the hood even though she’s not done it for over 10 years! i tell her that as long as i can borrow a used frame for the time being, she can have as much time as she needs to prepare and complete the job. maya’s attitude towards quality and respect of the complexity of the job ahead is something i really like, since it is very similar to how i work myself. some days later, when thomas finished his job, TW560 is loaded onto a truck and transported to berne for my frame to be exchanged against an old one for the time being. my TWIKE is transported back the same day – just in time for my trip to france with my wife.